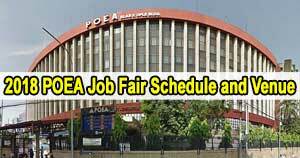 Here are the job fair schedules and venue in 2018 from Philippine Overseas Employment Agency (POEA) official website (www.poea.gov.ph). 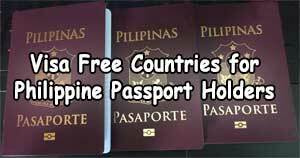 The lists are based on the notices received by the manpower registry division of the said government agency. According to the details in POEA website, there are numerous scheduled job hiring activities that will be held in different cities and provinces in the Philippines. This includes locations in Cagayan De Oro, Nueva Ecija, San Ildefonso Bulacan, Pangasinan, Batangas City, Jaro Iloilo City and Dimasalang Masbate in 2018 as of the writing. The list will be updated once there is an update from the official website of POEA http://poea.gov.ph/jobfair/jobfair.html. This is the latest reference for this post. Please read this! I apologize, I was not able to check the POEA website for the list of job fairs for this month. – SAN ILDEFONSO PARISH CHURCH, POBLACION, SAN ILDEFONSO, BULACAN. Interested job seekers can visit the respective locations listed above to take part in the job hiring events. If you do not know the location where the job fair will be held, it is advisable that you visit the venue ahead of time. This is for you to have an idea about what route, and mode of transportation to take, and basically just to familiarize yourself about the place. During the job fair , you should arrive early in the venue, maybe 30 minutes before the fair commence. Also, you should wear appropriate clothing, to properly present yourself to the hiring personnel and your future boss. Bring extra clothing, enough drinking water, and snacks. Attending job fairs have more advantages than disadvantages on both employers and applicants. Companies can screen lots of applicants in one day, they can do the hiring on the spot if they deemed the applicant to be deserving of the job offer. 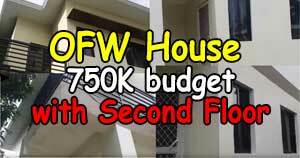 The same works with applicants, they can be hired on the same day if they impressed enough the hiring personnel. Usually job fairs are being attended by numerous companies which intention is to really acquire talents. They also spend time and money setting up attractive stalls in the venue to get attention from participants. This means that in just one day applicants can submit their resumes and come face to face with more than 20 hiring personnel. On regular day, it is impossible to visit that number of HR personnel from different companies because of different constraints. This saves a lot of time, and transportation cost on the side of applicants. There is a saying that goes like this, “It’s not what you know, but who you know.” During the job fair, applicants will surely meet HR managers, employers, and fellow job seekers who are probably employed to their present company. If the applicants manage to leave good impression to these people, he / she can get recommendations from them once there are vacancies on their respective companies. Free workshops are also available during the job fair. Applicants can take advantage of it to learn and gather information which they can utilize to find the jobs that they dreamed of in the future. If POEA organize job fairs for overseas employment ( abroad ), DOLE or Department of Labor and Employment, on the other hand, organize Job fairs for local employment. I suggest you visit the official website of DOLE (www.ble.dole.gov.ph) for their updated job fair schedules and venues nationwide.